Angelina Jolie does a great job and is a perfect look for the character and I love some the design of the fairies, especially winged Maleficent, who is just too cool. I really did like it, and yet, there were aspects of it that were a bit lacking for me. The movie was good, but it was just a hair's breadth from being closer to great, which was frustrating. I meant to write a much longer post about this, but have run WAY out of time. I felt the biggest flaw was that Aurora had little to no personality. She's meant to be innocent, which is great and all, but so often comes off entirely flat. I feel a simple solution to this would have been to have her be tested in some way. 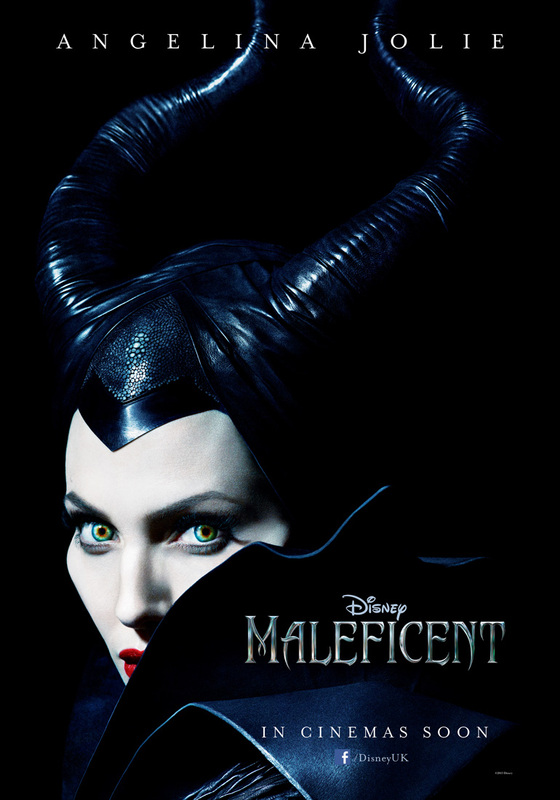 Since Maleficent is a fairy, it would have been easy enough to have her act as the tester. When she curses Aurora, it's in part because she has lost all faith in humanity. Even if Aurora is innocent as a baby, Maleficent would believe her to grow up into being just another dangerous and untrustworthy human. So, instead of having Maleficent and Aurora wander around fairyland, smiling at all the quaint fairies, she could have been testing her, putting her through the wringer as to just how good she is, as opposed to how innocent she seems to be. This would have done double duty, as it would have provided a character arc for Aurora, allowing us to discover what a good person she is as Maleficent discovers it, and it would have provided some more solid groundwork for why Maleficent becomes so fond of the child. Starring Nicholas Cage. Meh. This was one of those cases where the trailer was better than the movie. All the good, intense scenes are in the trailer, while the movie is plodding and disconnected. It could have been really interesting, but I just couldn't get a handle on the characters or how their stories were really meant to interweave. I feel like this movie took the easy way out, in the sense that this would be a very interesting world to elaborate on. The thoughts and behaviors of people would be different from what they normally are, and that's not thoroughly shown in the movie. The movie also didn't show what impact this would have had on marginalized groups (thought that's not surprising). Instead the story goes with the cliche horror movie storyline, in which a family is accosted in their home by outside attackers. However, it was an entertaining enough movie to keep me watching and I'm curious about the sequel, which looks like it goes in a slightly different direction. While not anywhere near the "scariest movie ever," ast it claimed to be, the remake had me on the edge of my seat. It was filled with intense moments and tons of cringe worthy gore. I also didn't outright hate the characters and having be a group of friends hoping to help their friend through withdrawals of her drug dependency provided a reasonable excuse for them to be out in a lonely cabin in the woods in the first place and then for them not to elect to leave when their drug addicted friend begins to report strange things happening. It was an excellent starting framework for the storyline. Very well done.